When involved in conflict with others, do you ever wonder whether God is on your side? I used to do so, and that produced a lot of stress and poor decisions. If I could be certain He was on my side, then I could be confident no enemy would defeat me; no problem could conquer me. But recently I stopped trying to make sure God was on my side. Why? I discovered that I am far more successful and it is much better for me to ensure I am on God’s side instead. That is, it is to my advantage to find out the side God is already on and simply join Him there. So now, instead of trying to move God to my side, I just make sure to move to His. And when I do, I am certain of victory. His side always wins! Joshua bowed in submission. As the Commander-in-Chief of the Lord’s Army, the issue wasn’t whose side He was on. It was whose side Joshua was on. And so Joshua surrendered. 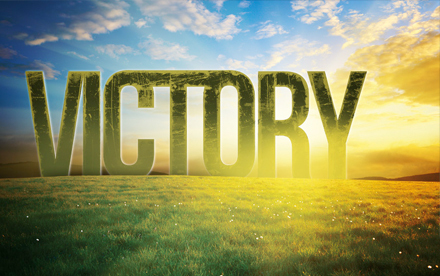 Child of God, victory is not obtained by trying to get God to surrender to you. Don’t give God your plans, stand on them in “faith,” and expect Him to bring them to pass. Rather, recognize God has His own plans and they are far superior to yours or mine. He is too wise to be wrong, too knowledgeable to make a mistake, too big to fail, and too good to do bad. Don’t try to get God to take your side. Take His side instead and victory is guaranteed!